Did you miss the premiere episode of Laura Marano‘s For The Record show on Radio Disney?! The 20-year-old actress and singer had a few super special guests for her debut show — Austin & Ally co-stars Ross Lynch, Raini Rodriguez and Calum Worthy! 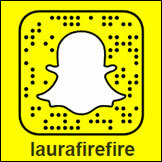 But don’t worry if you did miss it, because Laura has us all covered. “For those who missed it and international fans…I GOT YOU…I’m gonna be posting all the episodes on my website if you want to hear any. Here is episode one. #ForTheRecord,” she wrote on her website. Listen to the first show below and be sure to tune in EVERY Tuesday, @ 2PM PT / 5PM ET on Radio Disney. 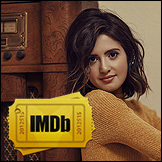 Source: Laura Marano: For The Record Episode One – Listen Now! | Laura Marano | Just Jared Jr.